I have a spacious kitchen, but limited storage space in the area of "primary real estate". I qualify that because I am a "petite" woman and the cabinets that are in my reach are limited, without getting a stool. I am willing to get a stool occasionally, but not for everyday needs. 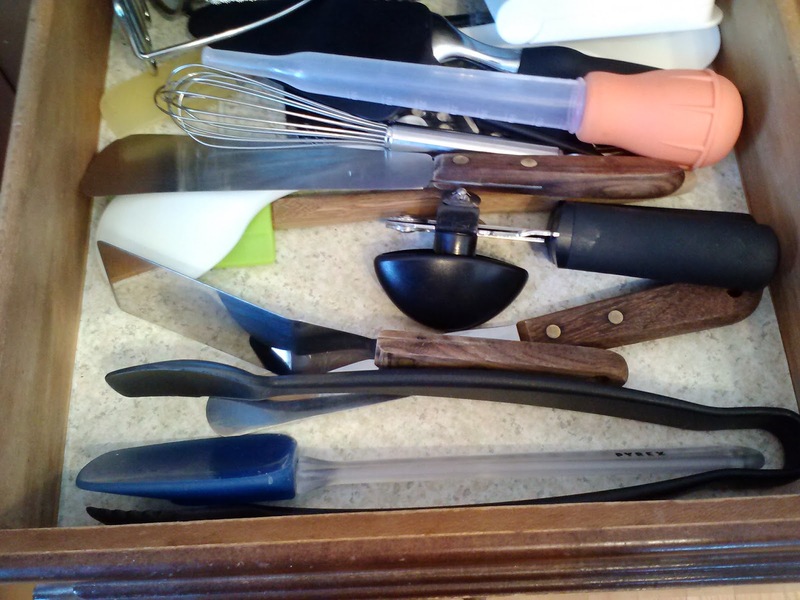 So, I only have one drawer available for utensils and it is pretty shallow. I have purged this drawer several times and use everything in it, although admittedly, not everyday. I decided to give a utensil caddy a try. I really don't like them as a rule, because they tend to get dusty and take up important counter space (another thing I am limited on). But, given my tight quarters in the drawer, I thought it was worth a try. I had been given this beautiful cut glass vase and thought it might be perfect as it was really bottom heavy and stable. I chose the top 6 or 7 utensils that I use on a daily basis (ladle, thin spatula, large spatula, small spatula, spork, slotted wooden spoon and flat ended wooden spoon) and stuck them in. Any more would not have fit and I wanted them to come in and out with ease. My husband immediately told me how handy it was and how much he liked it. We both really appreciated the extra space in the drawer, making it so much easier to put away, open & close. 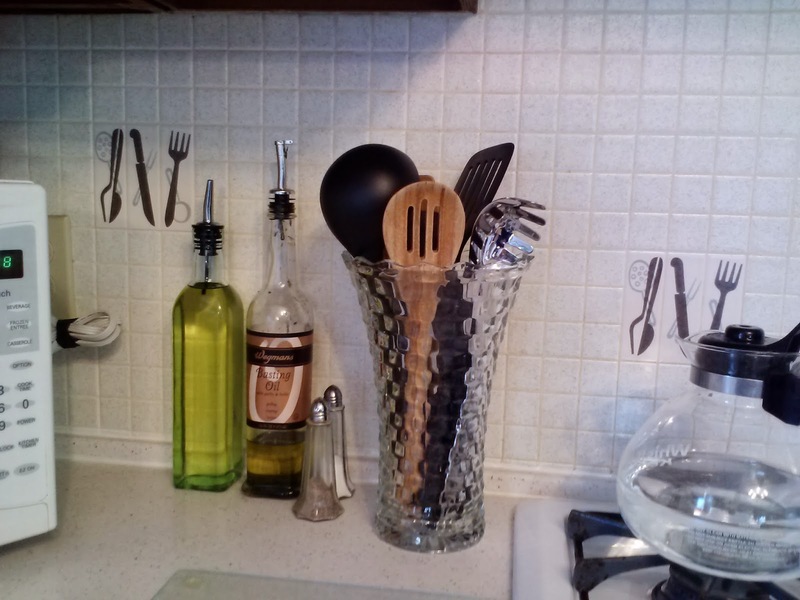 This simple reorganization and re-purposing of our utensils has made such a difference in our kitchen. Would it help you in yours?